In the exciting (and free!) 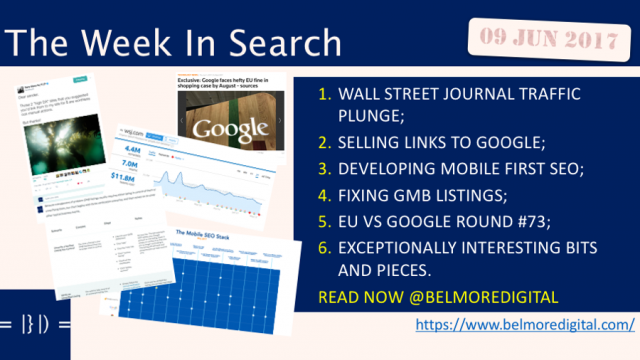 TWIS SEO Update for w/e 09 June 2017 we have five cracking main pieces of organic search news: The Wall Street Journal Mislays 44% of Organic Traffic; A very naughty webmaster tries to sell “high DA” links to Google; Mobile First SEO Tools Stacking is a bit lacking; Fixing Google My Business Listings is fun! 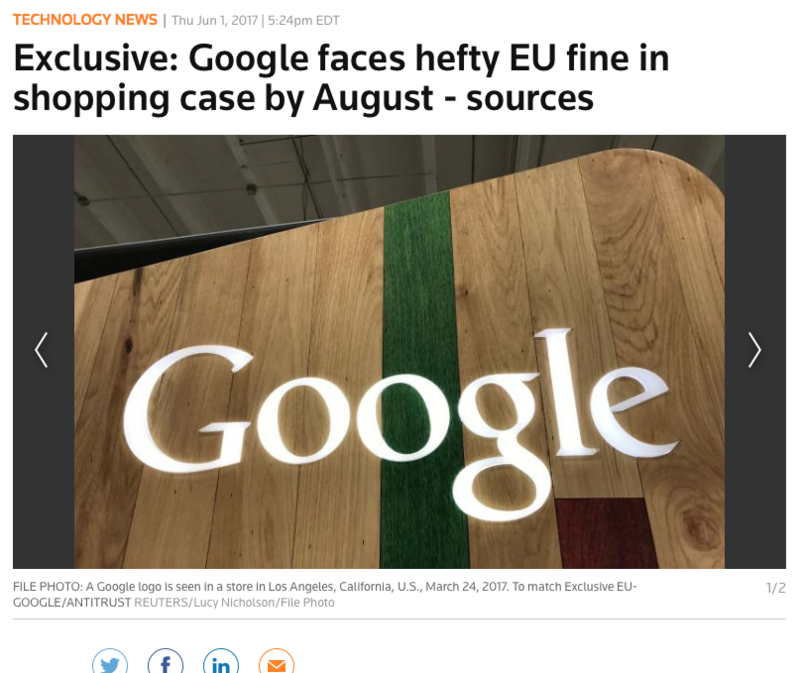 ; The EU is ready to fine Google $$ billions; as well as some exceptionally interesting Bits & Pieces. Enjoy! After removing itself from Google’s First Click Free program in February 2017, organic traffic to The Wall Street Journal (WSJ) dropped by 44% according to the WSJ itself. First Click Free was replaced by a straight subscription sign-up, resulting in a quadrupling of new sign-ups. The WSJ believes it is being discriminated against as a paid-for news site. The WSJ pages still appear in search, perhaps not as prominently, and with (occasionally) a “subscription” tag appended by Google. The WSJ stats are likely to be cherry-picked to promote their argument. Independent analysis is not wholly possible. This revelation is another shot in the long-running battle between old media and new media. Remember that the WSJ is a very strong brand. It has a lot of natural organic brand search. Its results will not be easily replicated. Remember that since the Vince update Google operates on “what do users expect to see” principles with strong brands like the WSJ expected by users to be part of the search results. Before switching off First Click Free or removing free content conduct a thorough analysis of benefits versus disbenefits. Test proposed free / subscription changes thoroughly, including subscription types and price points. Workshop expected long-term traffic impacts. 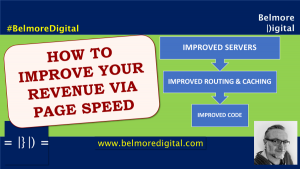 Conversion rates may increase, but without traffic there will be no conversions. Contact me if you would like to discuss ways to optimise revenue and sign-ups from content. 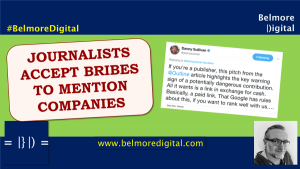 Rupert Murdoch and NewsCorp have long-held beliefs that users should have to pay for its news content, and that Google should not be able to index and surface their content for free. Over the last few years most of NewsCorp’s premium news sites in the UK and Australia have moved towards paywalls using varying models. 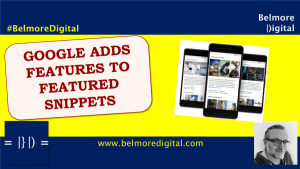 These models include a free front-page followed by a straight sign-up now, or followed by half-page article with “a register to read more” free or paid sign-up. It isn’t surprising that the WSJ has lost so much traffic, but caution is needed when interpreting the figures. It looks from the stats posted above from the SEMRush tool, that the WSJ may well be using year-on-year figures, May 2016 to May 2017. If you look closely, you can see that May 2016 was a peak, but that since Feb 2017 there has only really been a 25% drop-off in organic traffic. It should also be noted that SEMRush’s stats are great, but they aren’t the whole organic search market, and they aren’t WSJ’s own analytics. Unfortunately, we have no conversion comparison data to go on. It is important to be aware that the sign-ups are likely to be a reflection of changes in conversions rates rather than absolute numbers or total numbers. 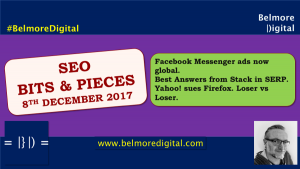 There was a small kerfuffle and general amusement when it was revealed a webmaster had tried to sell Google links on a “high DA” site. 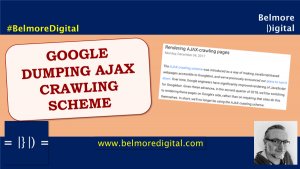 Google reiterated that it penalises “egregious link manipulation schemes”, but otherwise ignores most schemes. Google will ignore links on *any* site. DA, age, or other factors don’t matter. Don’t sell links to Google. If you’re going to spam webmasters, at least clean the list first. Don’t be afraid of placing links on your website. It’s how the web was built and how it works. Google understands that and still values links. Do be wary of placing links to “bad neighbourhoods”. Do be wary of using links in a scheme to pass PageRank, or other value to the destination page / domain. Contact me if you would like to discuss effective ways to link to your own and other people’s content. In general, webmasters should feel free to link to whatever they feel would be useful for their users and worthy of their attention. If it’s not, what’s the point of linking? There is far too much worry placed on linking by the webmaster community. The days of PageRank sculpting are gone (if they ever existed), and Google, although still a long way from perfect, is better at identifying links placed only for organic search benefit. Undoubtedly, this little burst of posts will launch 1000 “Don’t Link to Anything Ever” articles, but they are wrong. Use footer links if you want to – they can be handy for UX and secondary navigation. Use in-page links. Link multiple times to the same page. 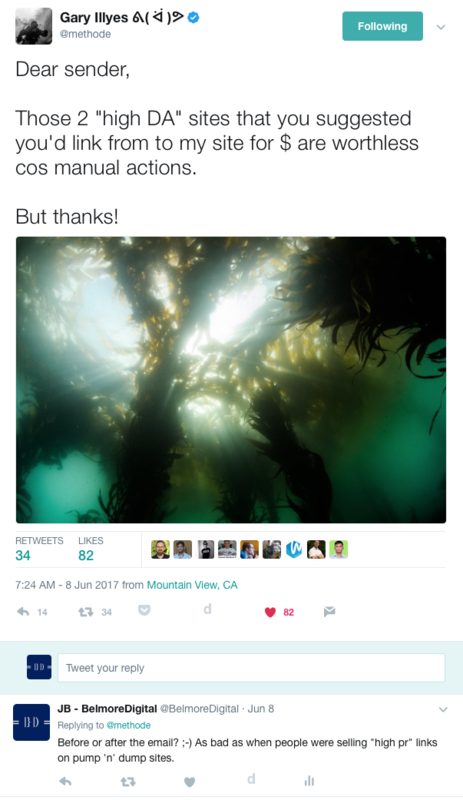 Do all of this if you feel it benefits the user and the link should be there. Here are some guides to internal linking and external linking. Great in-depth article from Moz covering the performance of major SEO tools in developing a mobile-first SEO process. No single tool yet covers off all the aspects needed to be completely mobile-first. Some barely make a stab at it. Most of the tools cover off current ranking & mobile appearance and some technical issues, none cover off the upcoming algorithm changes. Mobile first is coming. Review your site in whichever SEO Tools you currently use to determine how well you perform currently. Review the list from Moz. Consider adding the tools which cover any gaps from your existing toolset. Be aware that the tools take a “current state” view. They do not cover the expected impact from the upcoming algorithm shift. Contact me if you would like to discuss making your site mobile-first. Have you heard? Apparently there’s a mobile-first index coming. It hasn’t yet reached the hysteria of Mobilegeddon, but it is surely going to get there. Many of the tools in this review make a stab at parts of the Mobile First, but they all miss out on key parts, which in my view, let them down. Some of the tools barely seem to make an effort. It appears that for large swathes of the web, including solution vendors, and akin to the shift to HTTPS , the mobile-first web will take them by surprise. Another thing that is concerning is that none of them have taken on board Google’s utterances over its forthcoming changes, beyond things which can be objectively measured. It is a failing of these tools that they do not apply more algorithmic sense to websites, their structure and content. 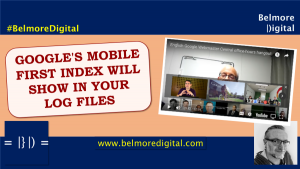 When the mobile-first index is launched, the Content Graph will be redrawn, as will the Link Graph, and as will the Indexing Graph. Websites and toolsets are simply not doing enough to anticipate these significant upcoming changes. If only Google had announced what is was planning. Long and decent article from Moz about fixing various Google My Business listings issues. Google My Business is a SNAFU when it comes to modifying, rectifying or tweaking issues. Great care, and detailed steps are needed to fix these issues, and even then it is a whim of Google to fix. Read the article from Moz. Take notes and hope you don’t have to implement any of the steps. 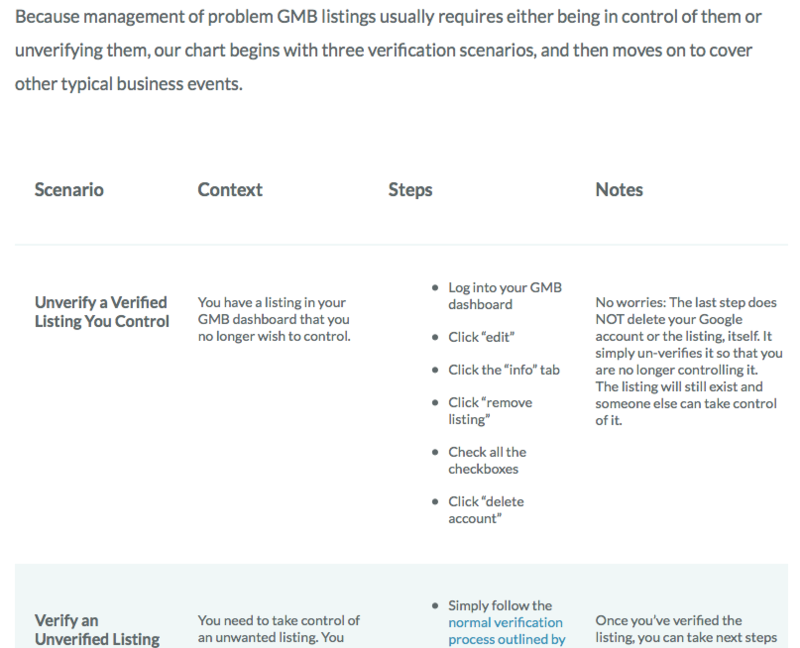 Remember that a lot of patience is needed to modify GMB listings – it takes time and results can be capricious. Often, existing Google relationships can be leveraged to get results, but even then, outcomes can be very patchy. Don’t spam your Google My Business listings. Contact me if you would assistance updating or modifying Google My Business listings..
Ah, Google My Business, formerly Google Places, Google Local, Google + Places and whatever odd combinations of local / business and places Google came up with in its madder moments. This is one of Google’s biggest search functions with up to 1/3 of search being defined as having local intent, and of course it is heavily searched on mobile. But, its systems and management are one of the biggest sources of frustration and disappointment available on the internet today, second only to whichever clickbait headline you’ve most recently clicked. For a company whose key competitive advantage is the indexing, ordering and retrieval of information, Google My Business is such a let down. Its methodologies are arcane, tricky and more often than not, unrewarding. 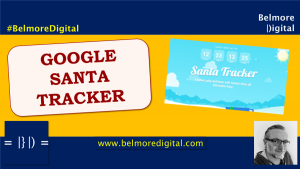 Of course, it is a free product, so you get what you pay for, but considering the sheer volume of search and the sheer volume of businesses who want accurate and up-to-date information displayed, you would hope that Google with all its power could engineer a proper fix. Instead, you have what is obviously a bureaucratic and programming nightmare, where systems have been built upon systems and tweaks have been rolled out to individual sections, but not all. Realistically, Google My Business needs a ground-up rewrite, but I don’t see that happening any time soon. In the meantime, submit those changes and…wait. 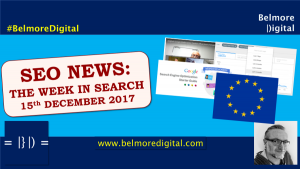 Reuters reports that the EU is ready to fine Google up to $9 billion for “abuse of market position” in shopping search. This is one of three active cases between the EU and Google currently being litigated. 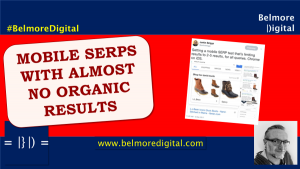 The shopping search case revolves around Google’s display of shopping results in SERPs “irrespective of merits”. If this goes ahead this could be a precursor for further action – especially if Chrome’s ad-blocking, discussed last week, impacts advertisers severely. Keep a weather eye on developments in this case. A $9 billion fine would need to be paid for somehow. 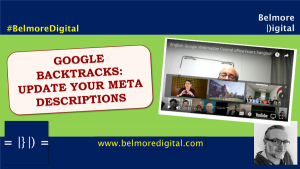 If your reliance on Google Shopping Search is heavy, it makes sense to build up viable alternative routes to sales. Be aware that this has taken a long while to get to this potential position, and levying of any fine might well take longer yet. Google is getting so big that it is bound to run into antitrust / anti-competitive behaviour issues at some point. The EU is a slow-moving beast, but it has shown a more willing attitude to getting involved in consumer competition issues – remember Microsoft and Windows issues over the default installation of Windows Media Player and Internet Explorer, those acts helped to push Microsoft away from consumer desktops. The big risk for Google is that if the EU is successful in litigating this, then it will likely become emboldened to try more. Chrome’s ad-blocking is a potential avenue for that, although you’d be hard-pressed to argue any consumer disservice from stripping ads away. Within search, most webmasters report Google as being 90-95% of traffic, although the comScore stats have repeatedly shown Google as being under 70% (which apparently is some magic number in the US antitrust system). Nobody has yet really challenged Google on this dominance, but with closer ties building between desktops and mobile, and deeper knots into various ecosystems, it’s not inconceivable that some sort of action will be launched. John Mu answered on Twitter that a lower crawl rate isn’t necessarily a bad thing as some sites don’t change all that often. DIV pop ups are better than interstitials for age verification (and other things). Although there are other ways to achieve the same thing. Moz has released a big update to its Ste Crawl tool – giving much deeper and more insightful crawling information to webmasters and SEOs. It’s a good bit of kit – well worth a look. SE Land released a good article covering the ins and outs of rel=”noopener noreferrer” which has been exercising the WordPress webmaster community in recent times. Use a 503 Status Code for hours rather than weeks. I’m having trouble understanding in which world a webmaster would want to have a “Service Unavailable” message returned to Google for weeks on end and would imagine it wouldn’t have a significant impact. Use a 503 if needed during migrations / upgrades, but ideally aim for seamless cutover and 301 redirects. HREF.lang – Order or language values doesn’t matter. Why would it? Sometimes I wonder about webmasters. “Other Resources” renamed to “Web Tools” in Google Search Console. The Wall Street Journal (apparently) lost nearly 50% of organic search traffic, but (apparently) quadrupled sign-ups. Selling links, especially to Google is a bad idea. Mmmmkay? SEO Toolsets are getting there with a mobile-first approach, but most have a long way to go. Fixing Google My Business listings is still a complex and occasionally frustrating process. The EU appears almost ready to fine Google $9 billion over antitrust issues.